Russia will cooperate in a range of energy projects including the construction of the Trans-Afghanistan pipeline. 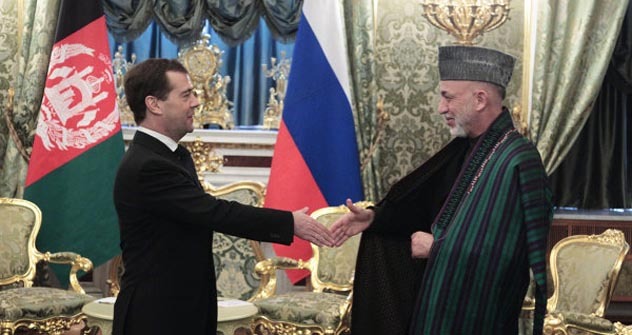 Russia will cooperate in a range of energy projects including the construction of the Trans-Afghanistan (TAPI) pipeline, Russian President Dmitry Medvedev and his Afghan counterpart Hamid Karzai said in a joint statement. The pipeline project participants Turkmenistan, Afghanistan, Pakistan and India, signed a final agreement in December 2010 to build the TAPI gas pipeline to pump gas to India from Central Asian states. In October 2010, Russian Deputy Prime Minister Igor Sechin said the country's gas giant Gazprom might participate in a consortium to build the pipeline. India suggested Gazprom join the project as one of the suppliers along with Azerbaijan, Kazakhstan and Uzbekistan. The 1,700 kilometer pipeline with an annual flow capacity of 30 billion cubic meters and a rough cost of $4 billion, which was stalled by the war in Afghanistan, is supported by the Asian Bank for Development. Besides the TAPI pipeline, Russia will join an ambitious project to deliver electricity from Tajikistan to Pakistan. The project, called CASA-1000, envisages the construction of a power transmission line to transfer surplus electricity from Tajikistan to Kabul and northwestern regions of Pakistan. The project is estimated to cost some $680 million.